Offers are required to be submitted in writing or emailed to Carigiet Cowen office no later than 12 Noon Thursday 11 April 2019. 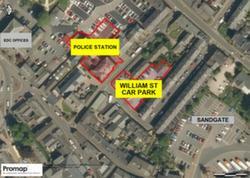 Offers for Hunter Lane Police Station or William Street car park will be considered together or separately. Particulars can be viewed from our website or contact the office on the above number.